Valentine's Day is just around the corner and we know it can sneak up on you. That's why we came up with this very simple, very last minute DIY to add the perfect finishing touch to your gift. 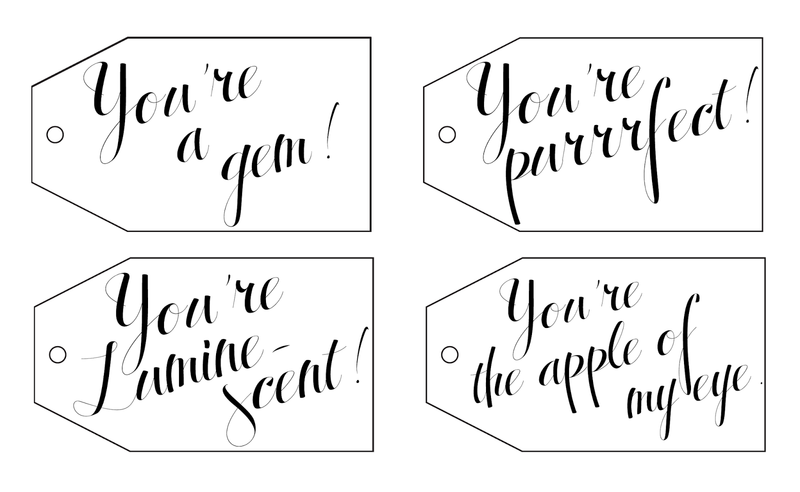 Cute and quirky gift tags! Download ours (our gift to you!) or make some of your own- it's easy! We perused our assortment of gifts to find the perfect candidates for our tongue-in-cheek love notes. 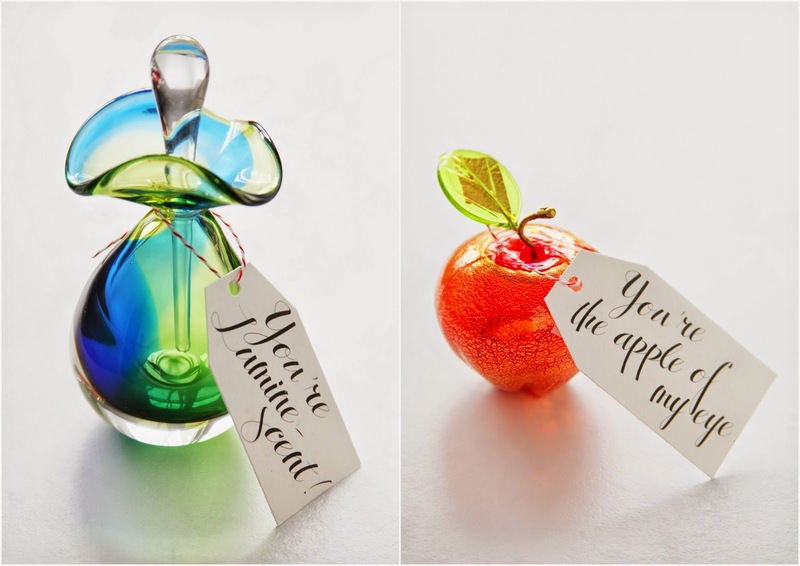 We chose our Crystal Necklace, Cat's Eyes Pin, Glass Perfume Bottle, and Murano Glass Apple. Simply right click on the tags below and save them to your computer. Print on 5x7 cardstock, cut them out and tie them on to a gift for your sweetheart! We had some fun painting ours with watercolors, but you could print them out on colored paper, cut them into different shapes- there are so many fun ways to personalize these tags!